If you have no idea about the series, you might want to take a peek at the manga, which I found quite interesting and entertaining. Oh, and did I mention that the series will get a TV animation adaptation on early 2012? 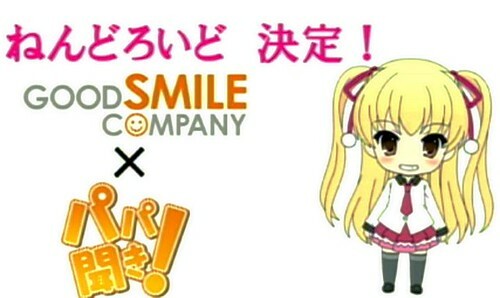 This entry was posted in News and tagged nendoroid, papa kiki, takanashi miu. ← Nendoroid Racing Miku: 2011 version is Released! No, it’s just that no one is being original anymore and making duped basically. 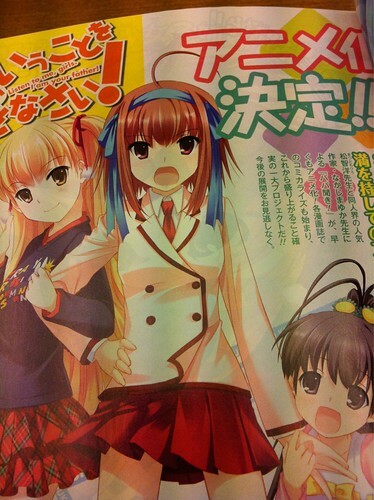 There is always the schoolgirls with a determined/angry expression either folding her arms or pointing outward. We need some new genres. Like the good ol’ 80’s. I never liked this “moe” thing. As my brother says “Moe destroyed anime”. I agree. But anyway, we’ll see what this chick is like, how much etc.